We had the honor of having Pat Robison and Carol Wolf visit our clinic on Sept. 18 to present us with a check for over $800. The lovely ladies from Circle 3 hosted a luncheon and silent auction back in August to benefit the Athens Nurses Clinic. 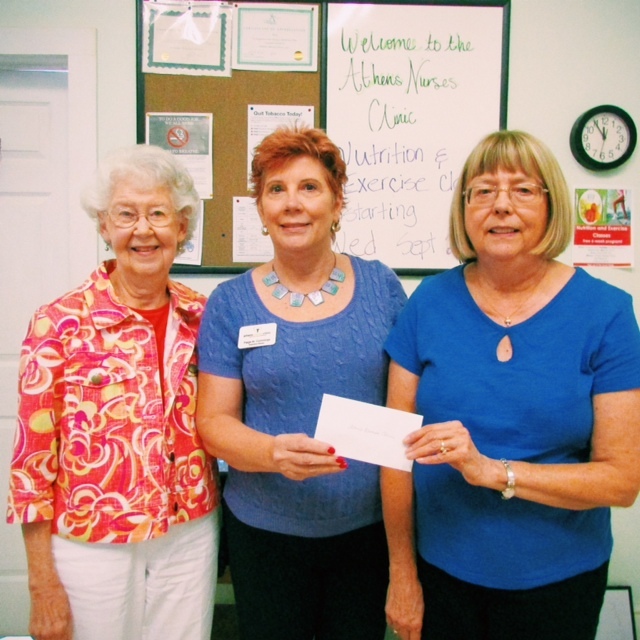 President of Circle 3 Pat Robison (left) and Carol Wolf (right) hand Executive Director Paige Cummings (center) a check from a fundraiser in August.